Why are our kids often at each other’s throats in the summer? The biggest cause of fighting during the long summer break is the fact that you’re spending a whole lot of time together. If external stresses increase—if there’s trouble at work, a bad break–up for one of your teens, or you’re caring for a sickly relative, for example—so does the tension inside your house. We all start to feel boxed in when this happens, and it’s easy to lose your temper at moments like these. Your kids begin to act out, too—the typical pattern of name–calling, teasing, criticizing and bossing each other around increases until the atmosphere is thick with everyone’s annoyance and bad feelings. Don’t respond until you’ve given yourself that moment of pause to think about what you want to say. You don’t have to respond to your kids just because they’re yelling at you. You always have a choice how you respond to your children’s behavior. You don’t have to go to their level and scream or slam doors. As James Lehman says, “You don’t have to attend every fight you’re invited to.” Believe me, I know it’s hard when your kids get in your face. The natural reaction would be to just do it back, whether it’s name–calling, saying hurtful things, or issuing ineffective ultimatums, like “You’re grounded for the summer.” So take those few seconds to pause and think. Take a time out if you need one—and above all, don’t sink to your child’s level of immature communication if at all possible. Here are some tips to calm the environment if you find you’re consistently getting on each other’s nerves during the summer. 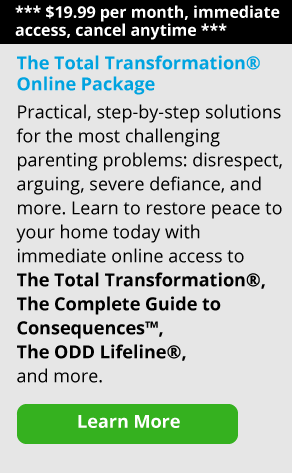 You, the parent, have to make a conscious decision that this summer is not going to be a constant fight with your child. And if you don’t want it to be about arguing and fighting, then you have a role to play in making that happen. That means you’re not trying to control your child and tell him how to be—rather, you’re deciding how you’re going to be. Take a position of responsibility around how you’re going to act. If you’re reactive and just go with the knee jerk, that’s not taking charge of yourself. You’ll have a much better response if you can stop and think, “How can I best respond to this? How will I get a better result?” That doesn’t mean you will—it just means that you are going to be that person you want to be if you looked in the mirror—no matter how your kids are behaving. When I give this advice to my clients, sometimes they say to me, “How can I do that, Debbie? It’s impossible; I can’t.” But time and time again, I’ve seen parents surprised at what a difference it makes when you commit to being that calm person in response to the upset. Recognize how you react when you feel closed in, then try doing things a new way. As I say, “Instead of hitting the roof, head for the roof.” What that means is that when things get too crazy, imagine taking yourself out of the fray by going up onto your roof. Look down at your kids and your family—and all your reactions to each other. Try to really see more objectively what’s going on. What are the patterns in your family that might be contributing to the fighting? Once you understand your own part of the dance, you are that much closer to a peaceful home life. And when you can change your part of that pattern, others in your family might step up and follow your lead. So for example, you’ll see teenagers in particular constantly provoking fights with their parents. These adolescents are often feeding into it, because they’re connected to their parents this way. Your job is to not react and feed that part of your child. Give him or her appropriate attention, but don’t indulge screaming matches because then they’re just going to keep coming back for more. If you find your kids are on top of each other all summer, it’s possible they don’t have enough time away from each other and need more structure in their days. When they’re bored and there’s nothing to do, understand that it’s also an activity to pick on their brother or sister—and to get some reaction from you. Part of it is that your kids want a reaction from you because, again, it keeps them connected to you—even if it’s negative attention. You can’t stop your kids from arguing, but you can influence them to argue less. Make it one of your goals to structure things more. Try to make sure they have some away time from each other. Work to manage time a little better so your kids are not on top of each other all the time—that in itself will help. Older teens might get a part–time job, and younger kids might sign up for a day camp, for example. If what they’re doing is just typical sibling bickering, the rule of thumb is to more or less stay out of it. You can say things like, “You guys need to solve this problem if you want to watch the TV at all.” So in this way, your kids are motivated to solve their own problems because they’re not going to have access to something if they don’t. You can also say, “You guys can keep fighting, but you need to do it out of this room because I don’t want to hear all the noise.” You’re not giving them negative attention and you’re not getting into their triangle. And that’s essentially what they want you to do—be pulled in and side with one of them. 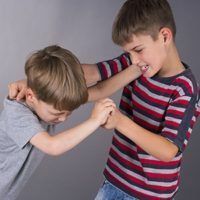 And that, ultimately, will cause real sibling hostility if it continues to happen, because one child will feel like, “Mom always favored my brother over me.” Don’t take sides, because when you do, you create an odd–man–out situation. Remember, this is a good time to help your kids figure out how to work things out together, because they’re going to have the consequences if they don’t deal with whatever they’re fighting over. Is It Possible to Have a Peaceful Summer? It’s absolutely possible to have a peaceful summer, and you do that by taking control of how you want things to go. You have control—even if the only thing you have control over is yourself. It’s not dependent on how your kids are—it’s how you decide to be. And mark my words: if you’re trying to control your kids, you’re going to have a lousy summer. One other suggestion is to make a list of what you will commit yourself to do and not to do to make sure the summer break is peaceful. Write down your own bottom lines and the structures you’re going to create. Remember, you have a choice as to how you act and interact with others, and this can make the difference whether the interaction goes north or south.